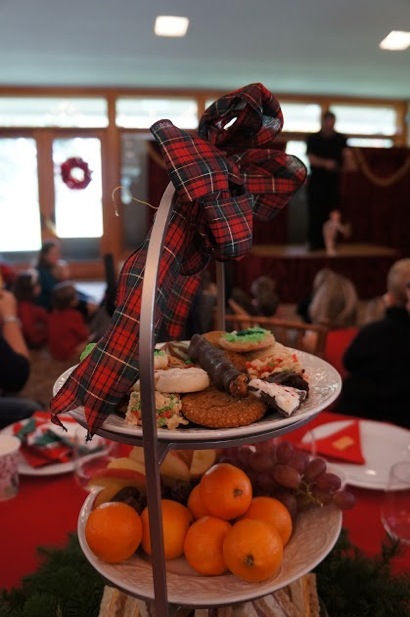 The Friends of Holbrook-Palmer Park held their annual Holiday Tea yesterday. According to Friend Diane McGrath, the “event was a resounding success.” She emails: “This year children enjoyed a visit with Santa Claus, an enchanting holiday themed marionettes show, and holiday craft activities. Proceeds from the tea benefit the preservation and beautification of Holbrook-Palmer Park. We’re featuring a couple of photos taken at the event by Vincent Toolan.